Gulf Crossings: Northward Range Expansion of Tropical Birds - further evidence of Global Warming? Northward Range Expansion of Tropical Birds - further evidence of Global Warming? Many tropical species of birds have expanded their ranges northward in the past 40 years. GCBO Research Coordinator John Arvin, who has spent many years in northeastern Mexico and the Rio Grande Valley of south Texas, recently summarized some of these range extensions and speculated on possible causes. The basic distributions of northeastern Mexican birds, and the birds of south Texas, were established in the early 20th century, with little change between the late 1800's and the 1950's. As a reference point in this discussion, we'll use the El Cielo Biosphere Reserve located at approximately 23° north latitude in northeastern Mexico. Examples of species that have very recently extended their ranges northward into this region include Double-striped Thick-knee, Montezuma Oropendola, Sungrebe, Black-crowned Tityra, and Solitary Eagle. Other species such as Keel-billed Toucan and Emerald Toucanet may be vagrants or pioneering colonizers. At the same time, some montane species like Spot-crowned Woodcreeper and Tufted Flycatcher seem to retreating upward in the Sierra Madre Oriental. They were once common breeders at 1300 m. and cannot be found below 1700 m. presently. Species which formerly reached their northern limits in the El Cielo region such as Boat-billed Flycatcher, Ivory-billed and Olivaceous Woodcreepers, and Melodious Blackbird are now found northward to the headwaters of the Rio Corona at 24°. The Rio Grande Valley, which forms the Texas-Mexico border, is at 26°. Some major extensions that have carried species beyond the bounds of the region in question began early in the 20th century with species like Great-tailed Grackle, Inca and White-winged Doves, and Cave Swallows, which are now found northward into southwest Louisiana. By the 1970s and 80s species like Clay-colored Robin, Hook-billed Kite, and Altamira Oriole, once considered rare vagrants, had become regular breeding residents in the Rio Grande Valley. In the last several years, more and more Mexican species have been recorded in the Valley, including Social Flycatcher, Crimson-collared Grosbeak, Blue Mockingbird, and Golden-crowned Warbler. It is worth noting that colonization can take place very rapidly as in the case of the Tropical Kingbird and Mangrove (Yellow) Warbler which have built substantial populations and, in the case of the kingbird, has spread widely through the area in less than a decade. 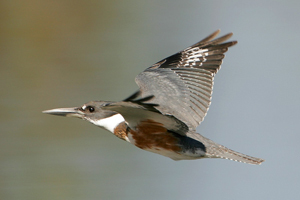 Finally, many species which were considered at the northern limits of their ranges in the LRGV around 1960 now occur commonly as far north at the edge of the Edward’s Plateau at about 29° N. Numerous examples include White-tipped Dove, Green Jay, Great Kiskadee, Buff-bellied Hummingbird, Couch’s Kingbird, and Ringed Kingfisher. some kind of birds have too many colors and they produce happiness to the people that hear it to sing every morning. Global warming now a days very important factor of life. Thinking always about everything we have to also think about the birds and this will really help to help nature. I really thanks to this site which has helped to bring this idead out here. Greatly thanks for sharing this information. And mom picking beans at our Ohio home and the two of us sitting around the kitchen table stringing them up for the winter. I don't remember how they taste but I remember the good times associated with them. Very little is known about the migration pathways of most Neotropical migrants but even less is known about the Cerulean Warbler. There have been very few records of this species away from the breeding and wintering grounds. I have surrendered my free will to the years of accumulated habits and the past deeds of my life have already marked out a path which threatensdd. Well, it is really very exciting news that c-lab has developed a new addition to the work being as part of @rt outsiders festival. So you think global warming is coming? If you wish to be the best man,you must suffer the bitterest of the bitter. Hello, You have carried out an admirable job. I will absolutely delicious it and I'll suggest to my friends. I know they will certainly be benefited from this site.